Information and resources about the Faith and the Church. The Daily Reflections for Great Lent are presented here in reverse order (most recent first.) We are grateful to the clergy, who selected the Scripture readings and wrote the commentaries: Fr. Vladimir Berzonsky, Fr. Nicholas Gobora, Fr. Stephen Kopestonsky, Fr. John Mancantelli, Fr. Peter Pawlack and Fr. Basil Stoyka. Orthodox Great Lent Reflections and Meditations was published in 1977 by the Ohio Deanery of the Orthodox Church in America. The readings and reflections are read by Fr. Ian Pac-Urar. Feastday Liturgies are offered at 6:00 a.m. unless otherwise announced. Divine Liturgy of the Presanctified Gifts is offered Wednesday evenings at 6:00, with a light supper following. 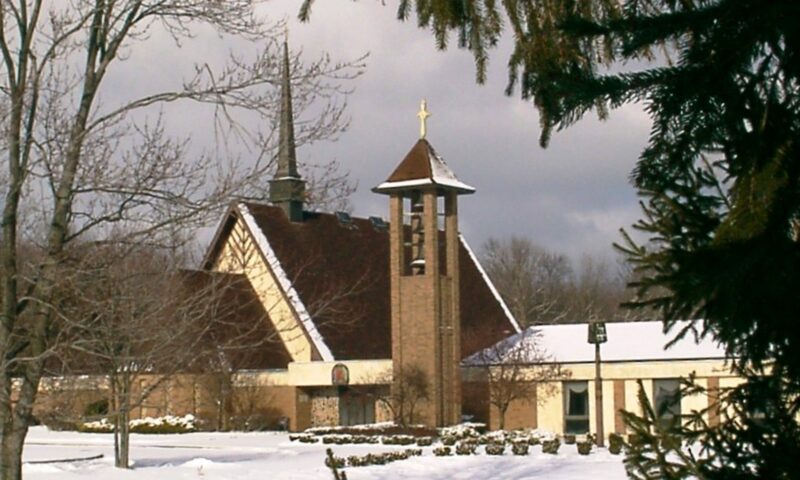 Confessions may be heard from 5:00-5:45 p.m.
Lenten Vespers is served Sunday evenings with Akron area clergy. 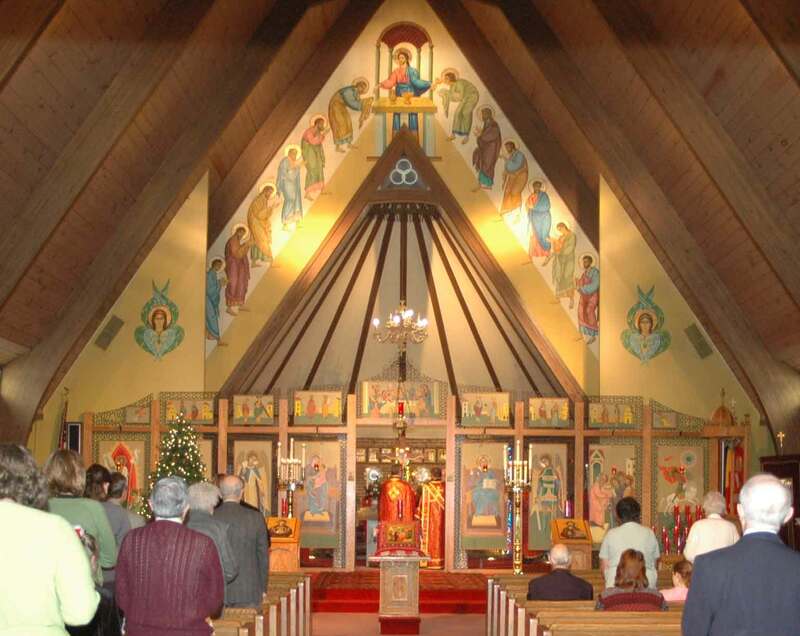 The location rotates each week to one of the Orthodox parishes in the area. The Liturgies of Holy Week are offered at 6:00 a.m.
From Palm Sunday evening (Bridegroom Matins) through Holy Thursday (Passion Gospels), evening services are offered at 6:00 p.m.
On Holy Friday, an all-day Church School program incorporates the Royal Hours and selected learning experiences from 10:00 a.m. until the Vespers of Holy Friday at 3:00 p.m. 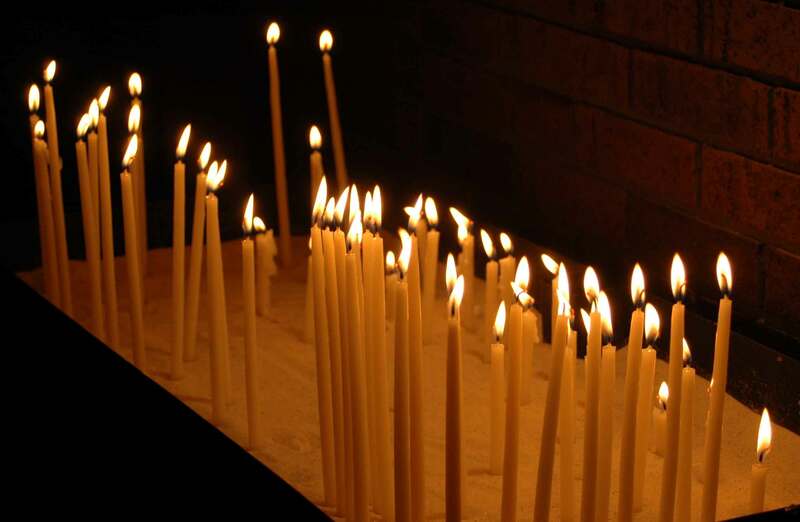 The Lamentations at the Tomb are sung at 6:30 p.m.
On Holy Saturday the Divine Liturgy (9:30 a.m.) is followed by the reception of new Orthodox Christians through Baptism and Chrismation. The Vigil of the Resurrection begins promptly at midnight. On Holy Pascha the Agape Vespers are offered at 5:00 p.m.
Holy Communion is the culmination of our spiritual effort in this life. 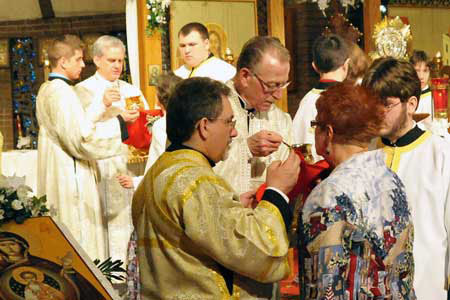 Practicing Orthodox Christians, who have prepared for Holy Communion according to the instructions of their own spiritual fathers, are welcome to approach the Chalice at any Divine Liturgy. Confessions may be heard immediately following Great Vespers on Saturday evening, or by appointment throughout the week. Confessions are not heard on Sunday, on Feastdays, during Holy Week or during the week preceding Christmas, except in case of absolute necessity.